Pray using a weekly prayer calendar that will be posted on the UMCPrays.org website from June 2, 2018 through the end of February 2019. The calendar will list a unique cluster of names each week. The names will balance USA bishops and delegates with Central Conference bishops and delegates. It will also include General Secretaries, Commission on a Way Forward members, the Commission of the General Conference and the staff of the General Conference. On Sunday, May 20, Senior Pastor Mark Lacey gave an update on the United Methodist Church and where Saint Mark is in the process of preparing for General Conference in February, 2019. Mark reviewed the three plans put forth by the Commission on the Way Forward to the Council of Bishops as well as the plan that the Council of Bishops will recommend to the General Conference delegates. Mark reviewed our Scenario Planning Process and the steps to be taken following the completion of this process. All church members and friends of Saint Mark were invited to participate in this presentation and the question and answer session to follow. 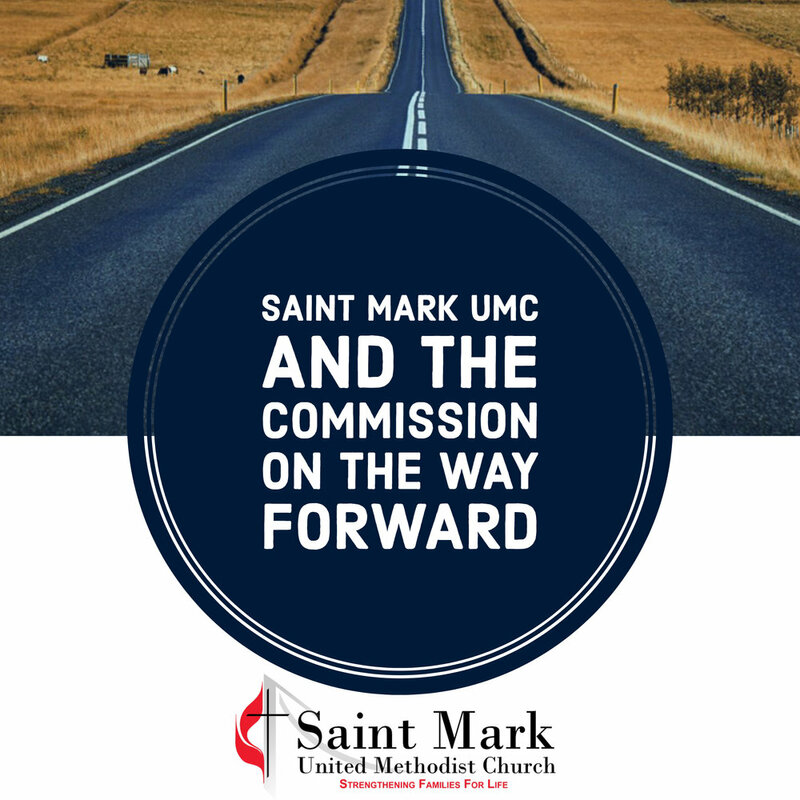 For more information and updates on the Commission on the Way Forward you can read updates on the UMC website below.